Charter yacht FOXY LADY, a 62-foot Lagoon Catamaran that accommodates up to 8 guests, is offering an incredible rate for the next three new bookings confirmed and taking place between now and June 2018. Special rate for up to 8 guests = $27,000/wk for an all-inclusive, 7-night or longer charters in the Virgin Islands. Cannot be combined with sleep aboard offer. This is truly a generous offer as Foxy Lady's standard price for a 2-person charter is $28,000/wk and 8 guests runs $32,000/wk. 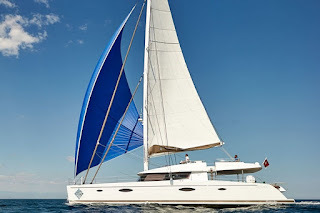 Foxy Lady is a 62-foot Lagoon catamaran with a crew of two. Foxy Lady is fully air conditioned, has a flybridge and accommodates up to 8 guests in 4 cabins. The guest cabins each have a Queen berth and ensuite heads with electric toilets and stall showers. Amenities include a 16-foot dinghy with 70HP motor, waterskis for kids and adults, tube, wakeboard, kneeboard, 2 kayaks, 2 standup paddleboards (SUPs), floating trampoline, snorkel gear, satellite TV, full uncapped WiFi, iPod dock, lots of activities for children, full barista set up, projector screen for movie nights, and much more. 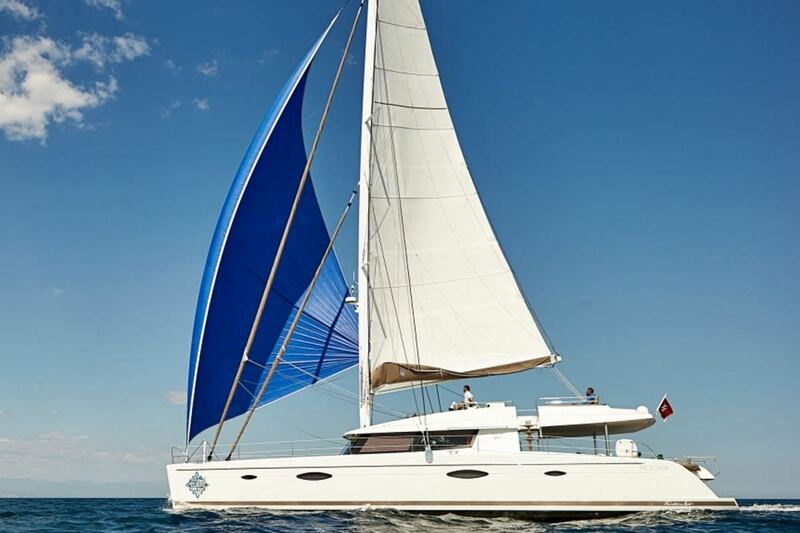 Both charter catamarans Lir and Aoibh are offering a 5% discount on their next 5 bookings. 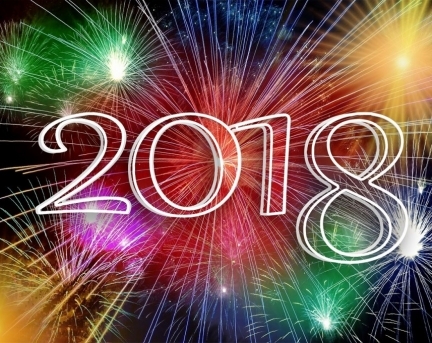 Bookings must be 6 nights or longer and take place in 2018 (not including Christmas/New Year weeks). 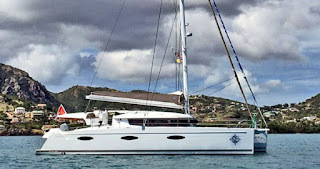 Both yachts will be chartering in the Virgin Islands next season offering luxury accommodation for up to 8 guests. Contact Paradise Connections for more information. It's the pleasure of the journey that keeps people coming back for more. Special Offers for Valentine's Day. I expect there will be more coming soon... watch this space! $3000 discount off a 7-night charter that includes February 14, 2018. $2000 discount off a 7-night charter that includes February 14, 2018. Book a Valentine's Charter and Get a Sweetheart of a Deal ! Crewed Charter Yacht Avalanche, a 60-foot Trehard sloop that accommodates up to 6 guests in 3 cabins, is now offering ASA "Learn to Sail" charters. 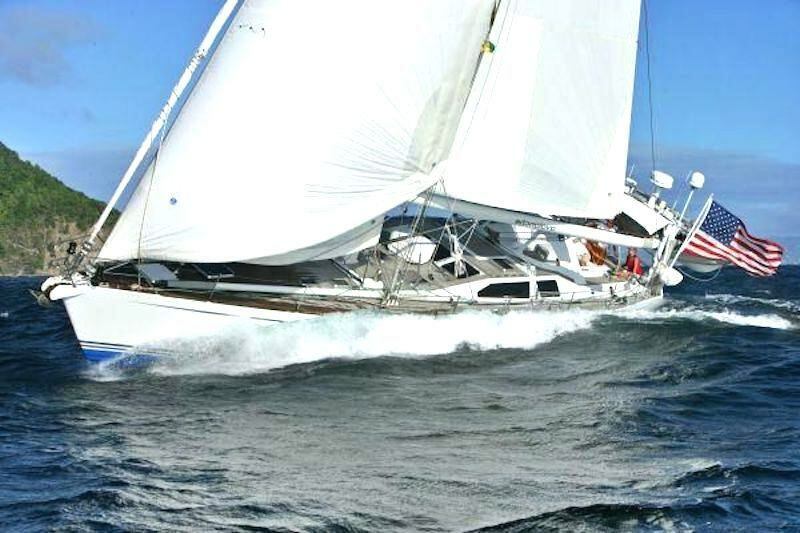 S/V Avalanche is a 60-foot, Trehard sloop based in the Virgin Islands in the winter season and Newport in the summer. 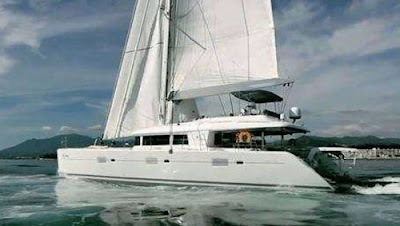 Avalanche is an air-conditioned monohull which accommodates up to 6 guests in 3 cabins, each with ensuite head/shower. The 2 mid-ship cabins can be configured as either Queens or Twins depending on the group's make-up. Guests can get ASA certification during the charter for an additional fee. The certification process is 7 days. Sailing instruction covers ASA 101, 103, 104, and 105. Long Weekend Rates (Friday to Sunday): 3 days/2 nights beginning at 9 am the first day to 5 pm on the last day. Captain-Only charter, plus all expenses, up to 6 guests. Day Sail Rates, Captain-Only: Includes a cooler, ice, bottled water and soft drinks. 12 guests maximum. Welcome 2018... Let's Go Sailing! An all-inclusive, crewed yacht charter is an excellent way to visit the islands this season. While many hotels and resorts are currently closed to visitors either due to reconstruction or because they are housing off-island recovery contractors, we have many yachts willing and able to provide quality sailing vacations. Your yacht is a self-contained entity, they generate their own electricity and most make their own water. Thus air conditioning, ice, refrigeration, etc. are not a problem as might not be the case for a land-based vacation. The VIs still have fun beach bars, excellent snorkeling, and great sailing. Being "all-inclusive" means that all meals and drinks are provided. What's not to like ?